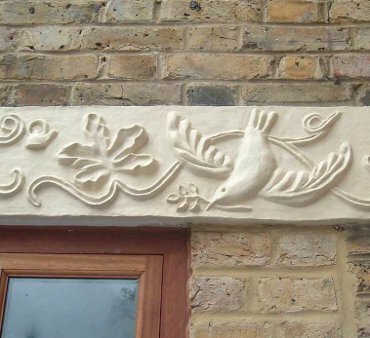 Your personally designed parget is modelled with a creative eye, fingers and a spatula. 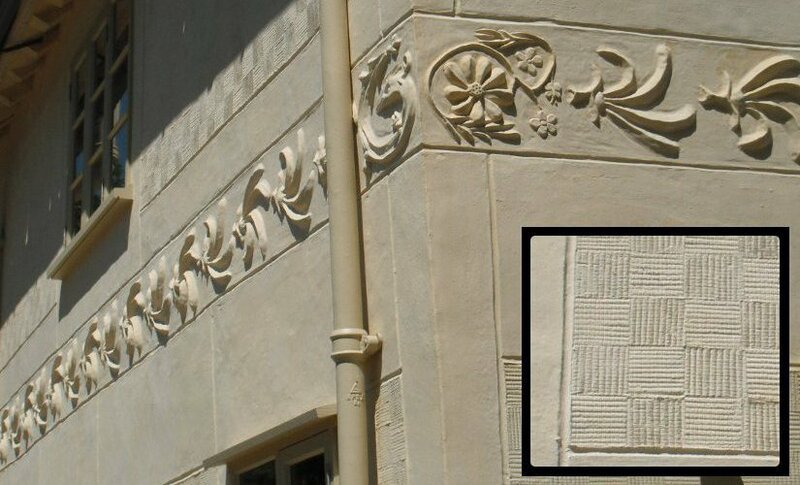 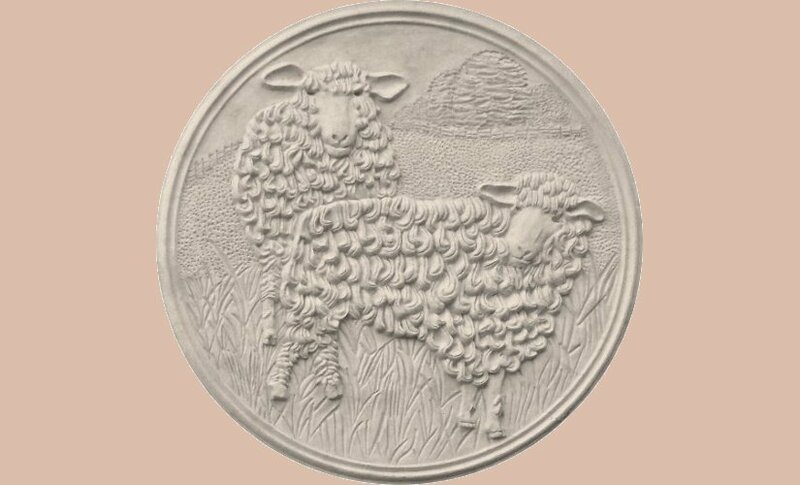 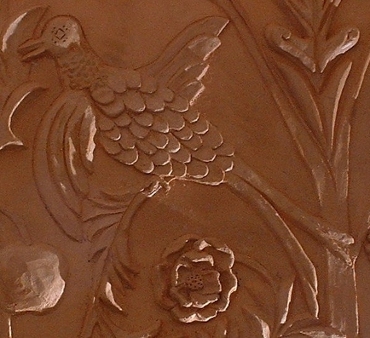 It could be a simple combed pattern or a highly ornamental design in high relief. 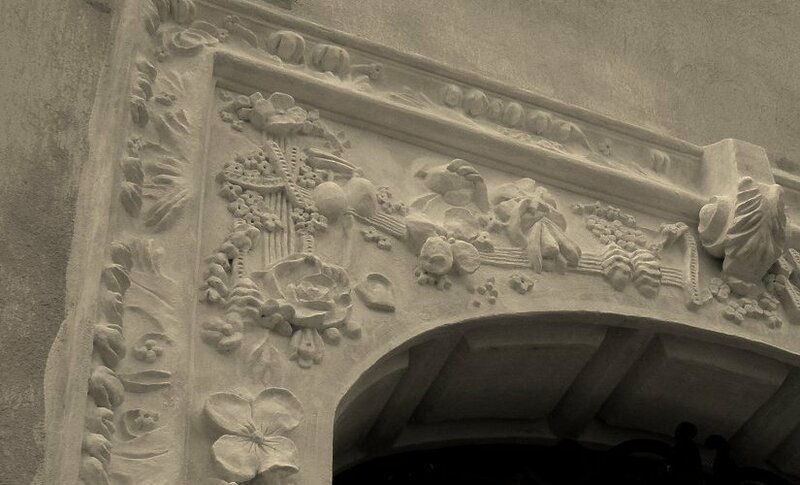 Spun cassetted arch with high relief pargeting. 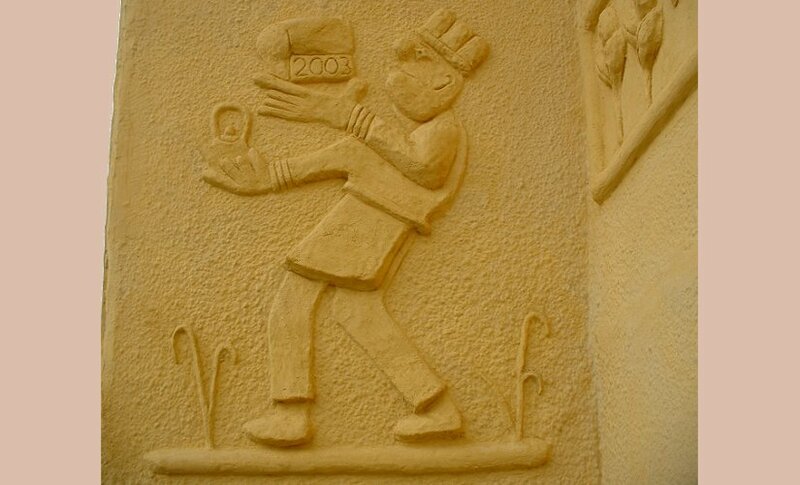 Wheee! 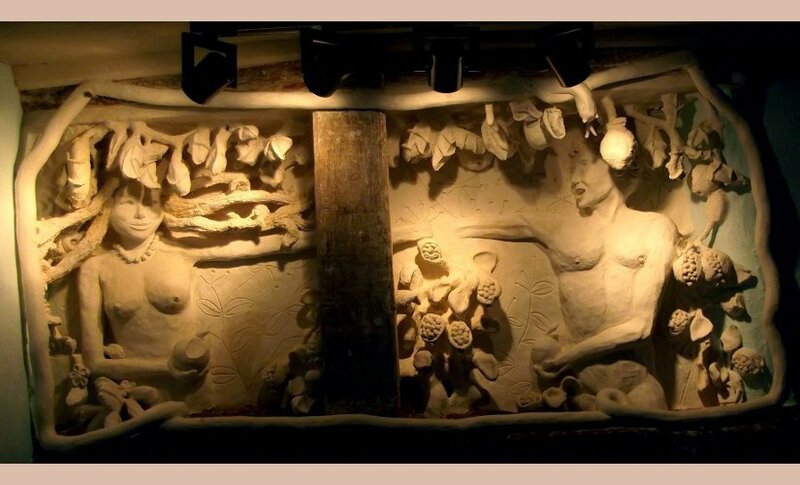 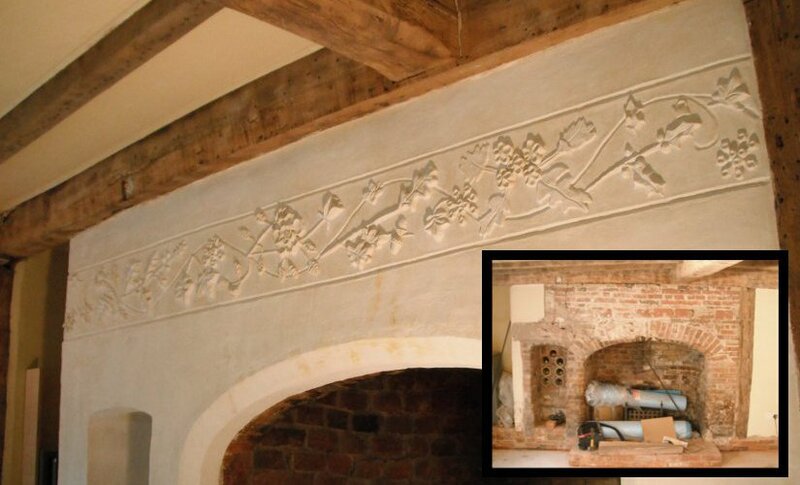 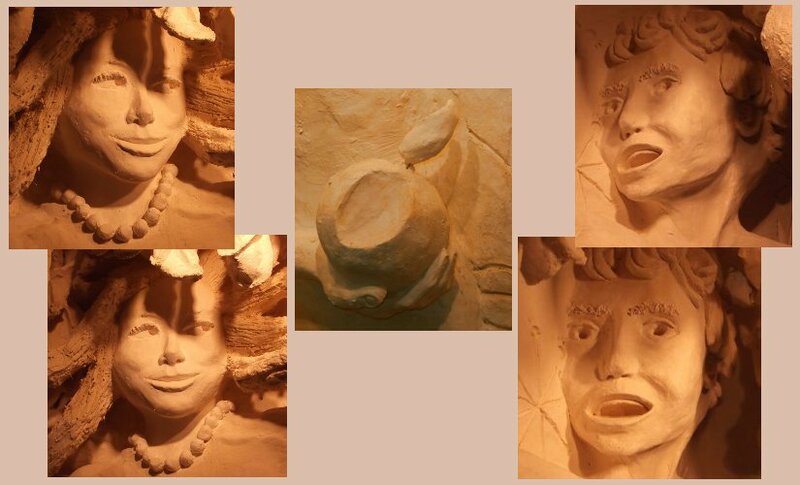 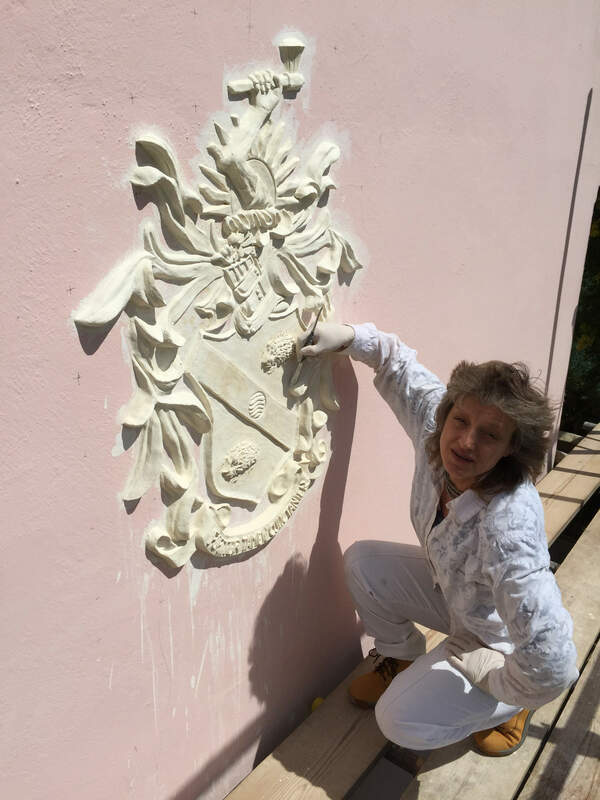 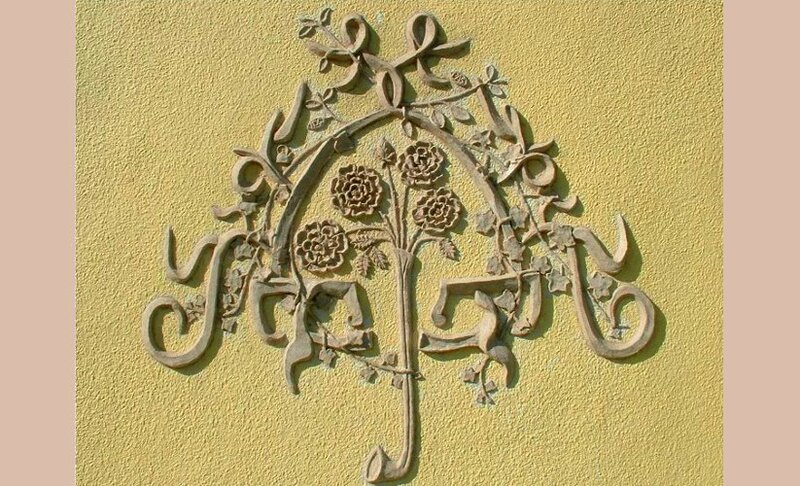 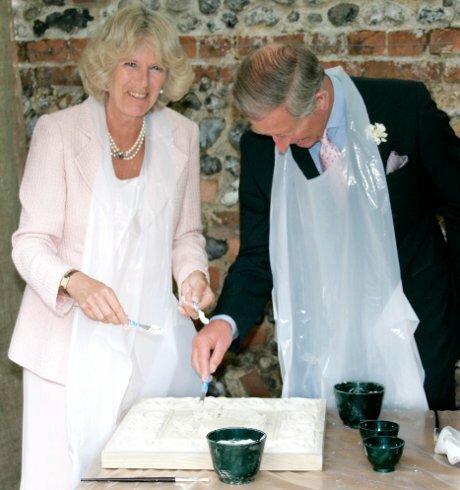 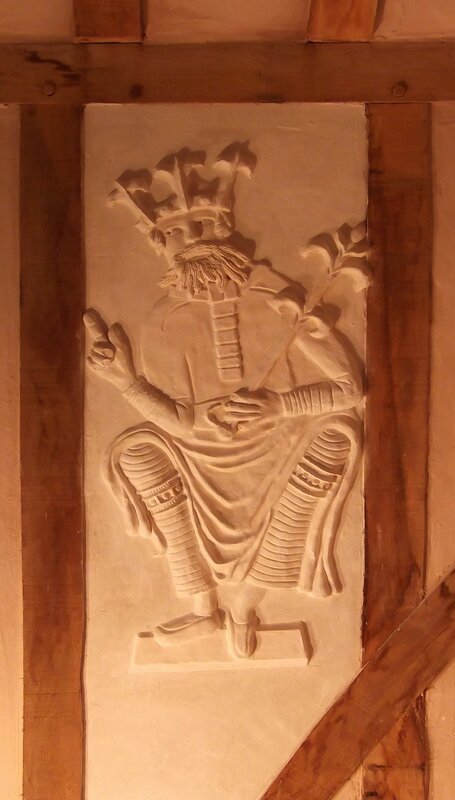 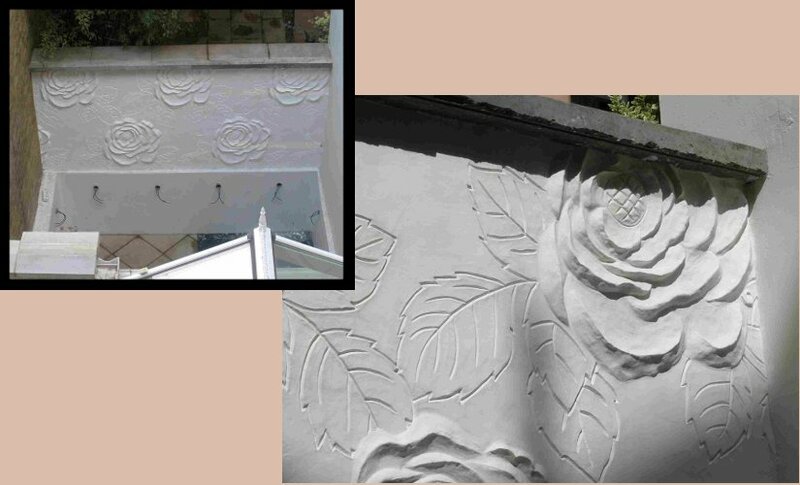 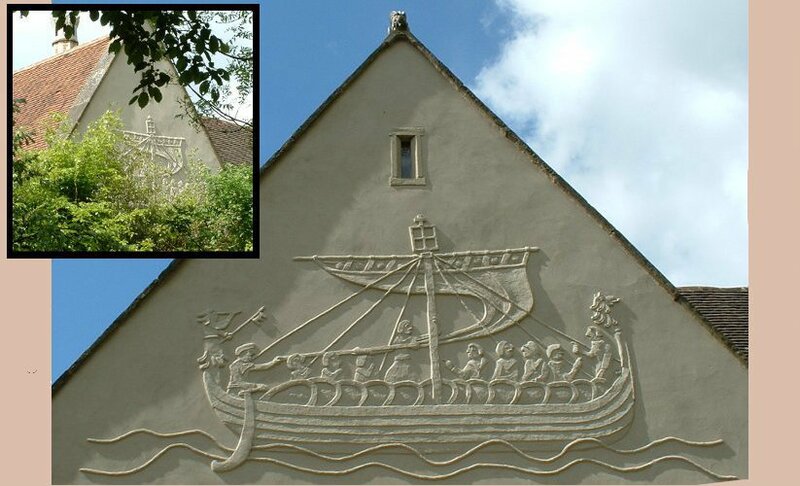 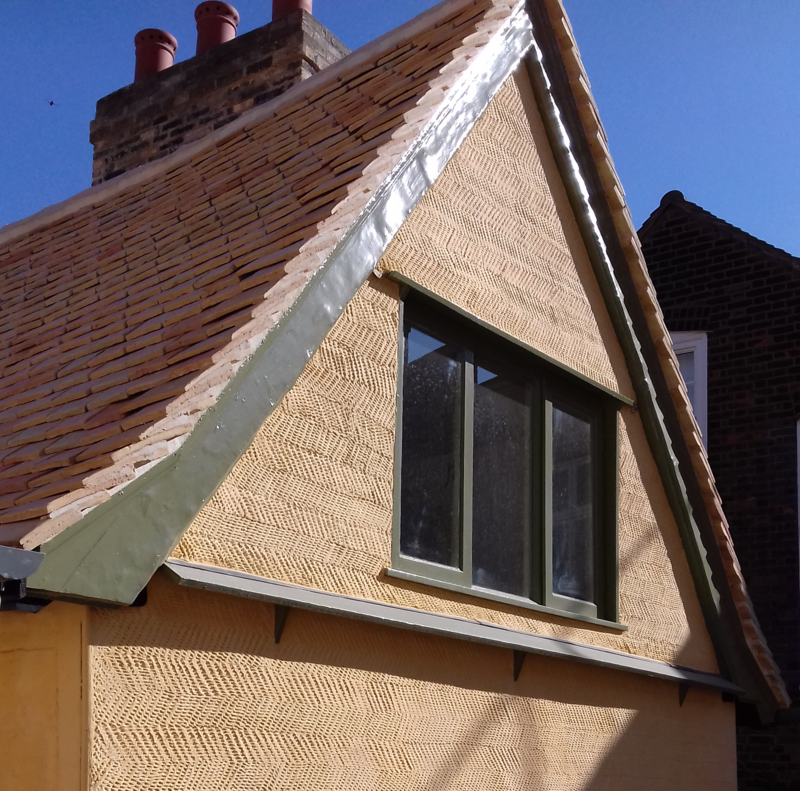 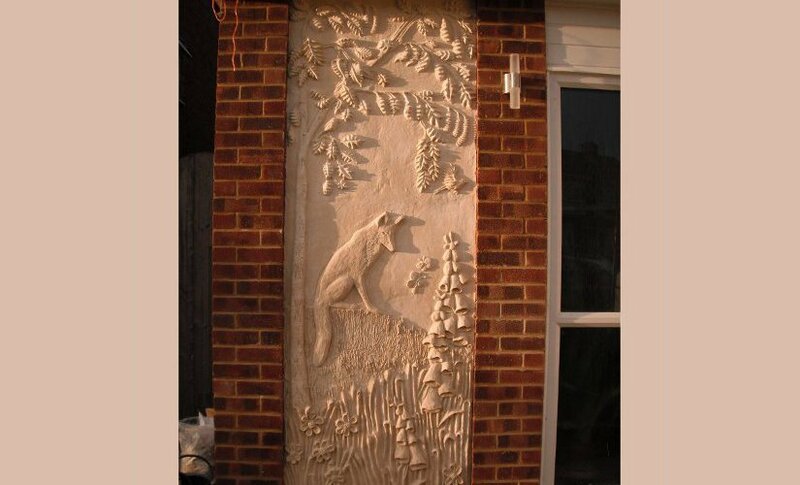 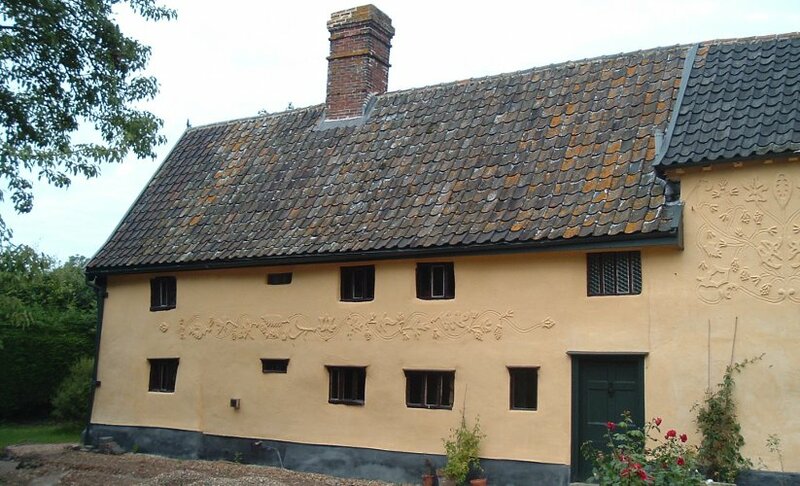 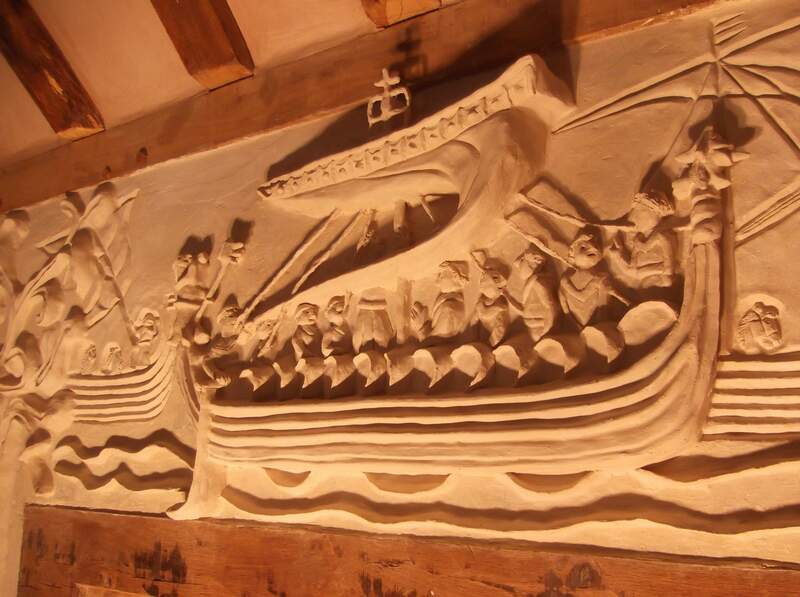 When Prince Charles and Duchess Camilla came to Suffolk, I was asked to demonstrate pargeting to them – and then they decided to have a go themselves. 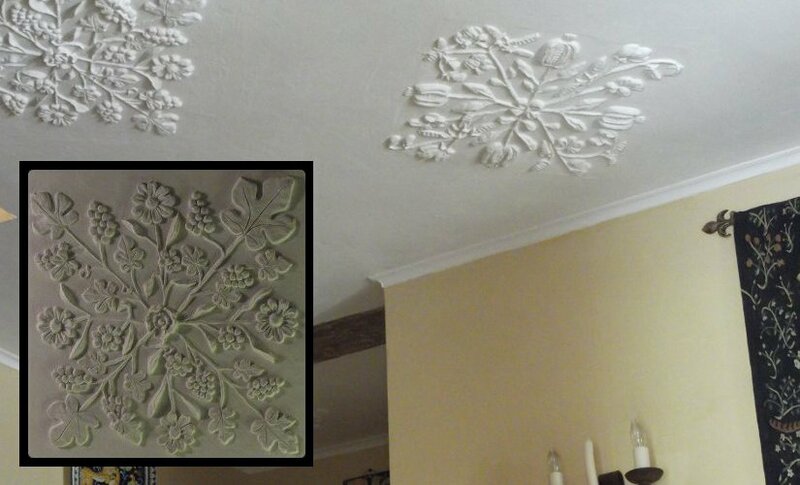 Following on from this meeting, I pargeted a panel for them in Birkhall, their Scottish home.